WATKINSVILLE, Ga. --Four female University of Georgia students have been killed and another female student critically injured in a car crash. Oconee County Sheriff Scott Berry told CBS Atlanta affiliate WGCL-TV the crash occurred just outside Watkinsville when two mid-sized sedans, one driving northbound and the other southbound and both traveling at a high rate of speed, collided just after 9 p.m. Wednesday on Georgia State Route 15. The five students, all from the Atlanta suburbs, were in one of the cars, authorities said. The students killed were Kayla Canedo, 19, of Alpharetta; Brittany Feldman, 20, of Alpharetta; Christina Semeria, 19, of Milton; and Halle Scott, 19, of Dunwoody, the State Patrol said. The driver of the car carrying the students - fellow student Agnes Kim, 21, of Snellville, Georgia - remained hospitalized late Thursday morning. 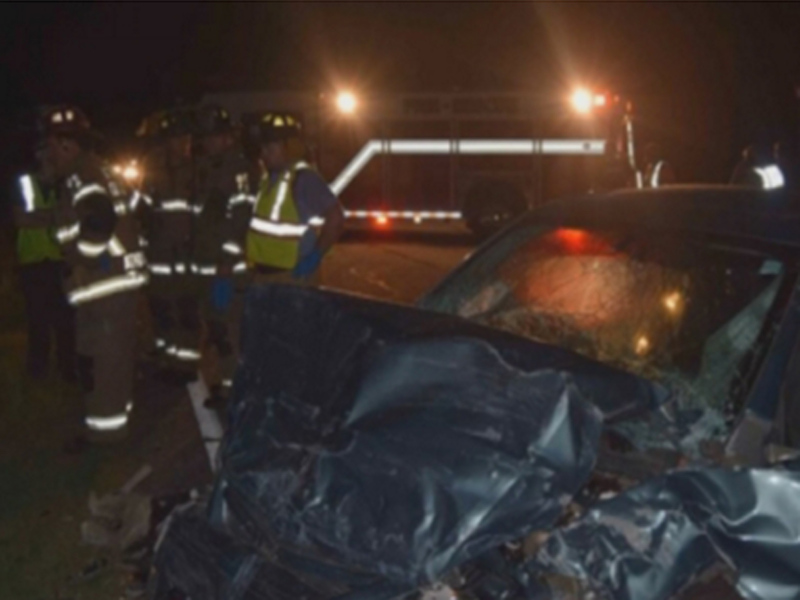 The driver of the other car, Abby Short, 27, of Demorest, Georgia, was taken to a hospital but her condition wasn't available, authorities said. Berry told WGSL there were no signs of drugs or alcohol in either vehicle. University of Georgia President Jere Morehead issued a statement early Thursday calling the crash "heartbreaking and tragic." He asks that the public "keep these students and their family and friends in your thoughts and prayers."